I love foggy mornings!! 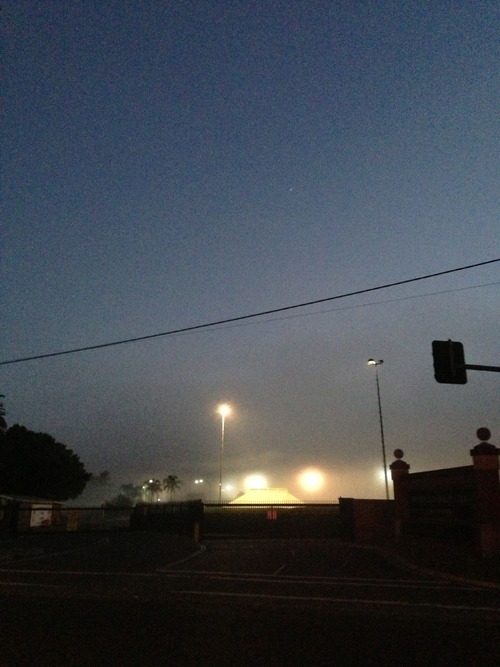 This is the view from gate 2 towards the racecourse last Saturday just prior sunrise. Isn’t it mysterious?